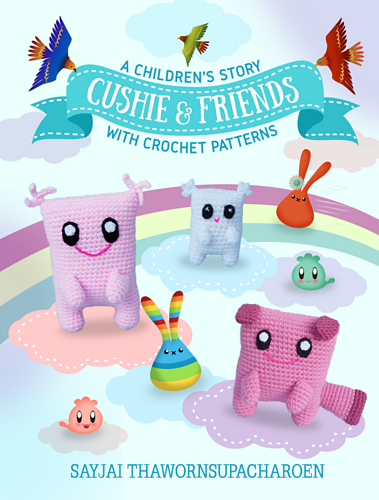 This is one pattern from the “Cushie and Friends” book. 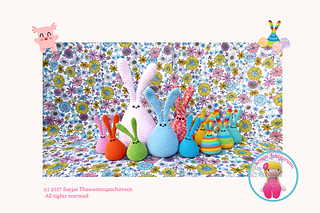 I make this pattern available for free to get a sample from the book. 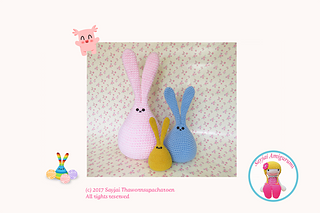 These bunnies are very easy to make. Enjoy! 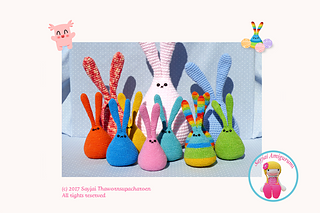 You can download the PDF patterns in many languages here on Ravelry. I made a separate PDF for each language. The e-book contains the English pattern plus the translation into French, German, Italian and Dutch. 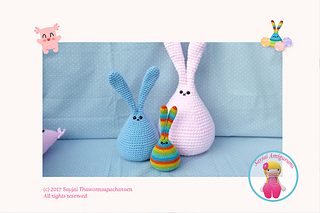 The e-book title is in English (Bunny Crochet Pattern). Open the e-book and select the language in the Table of Contents. My apologies: the pattern is at the moment not free on Amazon. It was free, but Amazon put the price in March 2018 to 2 US$. I do apologise and am looking at how to resolve this with my distributors. On the other websites it is still free.